Image by Rainier Ridao/Unsplash, Public Domain Dedication (CC0). My daughter stood by herself in the playground. Her short brown hair was in a small, messy ponytail. Her pink dress, full of flowers in bloom, floated about her as she shifted her weight from one foot to the other. She wrung her hands. She bit her lips. She climbed up the side to the top of the yellow slide. She climbed down again. A little boy ran past her, and she moved so he would have more room for his run. She turned toward the swings and looked at the little girls in their brightly colored hijabs, lifting each other on the swing, laughing and falling, pulling each other down and then up again. 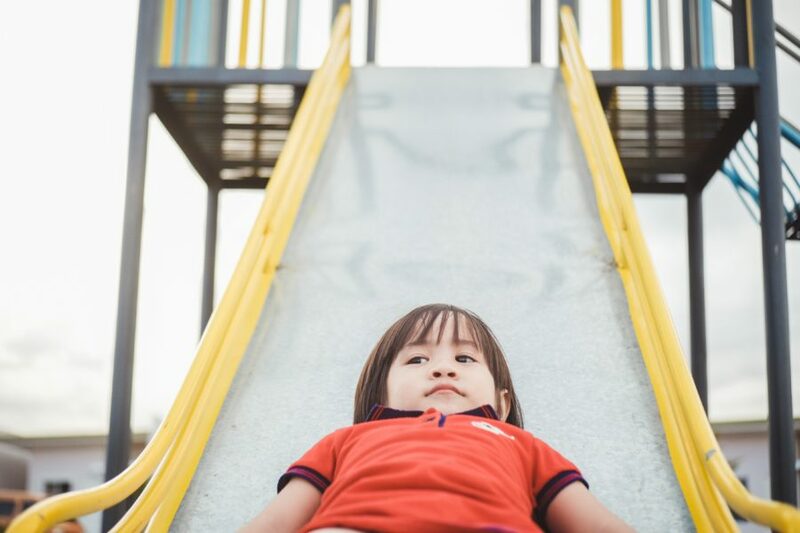 There was a little Hmong girl with long black hair crying at the edge of the playground. A teacher stood close by, saying words I couldn’t make out. My daughter stood by herself, unaware that I was looking. I, too, had been a lonely girl. I had just come to Minnesota from the camps of Thailand. Hmong relatives who had children my age, whose children had been born in America or had come years earlier, did not know how to communicate with me, and I did not know how to communicate with them, never mind that we all understood Hmong well enough. In school, I didn’t speak English, so I could not relate to the American teachers and students. I was beginning to learn the language and understand it, and if I were a different version of myself, perhaps I could have used it. But I was me, and I was lonely for a place and a time where the people around me knew and loved me — as I had felt in the arms of my extended family in Ban Vinai Refugee Camp and as I hoped I could feel again. I used to stand outside in the playgrounds by myself. I was afraid to draw the attention of teachers by standing far from the other kids, so I would stand in their midst. In the beginning, I remember kids asking if I wanted to join in the games. I always shook my head despite my yearning to be among them. I remember a few teachers taking kids by the hand, walking them my way, and asking them in soft voices to ask me if I wanted to play. I always whispered, “No, thank you.” Eventually, I became a small rock in the playgrounds of my youth during recess, small and steady, embedded in earth. I knew the other kids and the teachers knew I was there. I knew they stayed away from me because I had been silent and unmoving for so long, that it was hard to picture me as anything but still and silent. They played their games around me, unaware of my self-consciousness, my extreme shyness, my discomfort in my isolation. I counted my fingers and examined the hand that held each set. I concentrated on my feet and imagined my pink toes inside my shoes, cloaked in my socks, alone and yet part of the feet, part of a family, part of a body. I wiggled my toes, trying to wake them up, to have them be with each other so each would not be so lonely. When I felt anyone come close, I pretended I was interested in the sky. I followed the movement of clouds with my neck, eyes trained up high. I picked up errant leaves, held them in my hands, felt their crispiness, admired their veins, wiped and wiped at their colors, cleaning stains that weren’t there. I did this across the different seasons, shifted from the falling leaves to the bits of snow to the blades of grass for years and years. In the school playgrounds, beside the big tires that rested on the sand, beneath the metal monkey bars, and by the swing sets, I felt the cool of autumn, the frigid cold of winter, the wet spring thaw, and then the coming of summer. I grew so used to my silent world that I forgot the sound of my own voice in English. And I did — all the time. But the words were sticky in my throat, or they were too dry and could only come out as a scratch against meaning. In high school, during a lull in biology class, a boy named Patrick who sat in front of me turned back to me. I wanted to ask why and be in conversation with him, but I didn’t because I knew why: I had so few close friends. One to be exact, and even with her, I was shy except for the long letters we exchanged. By college, I was less shy with the people I met regularly like my roommate or another Hmong girl who was also lonely for her home, whose loneliness and lack of social fluidity helped me realize my own truth. Yes, I was lonely for the people who loved me and understood me, but I was also lonely for something else: a version of me that was more comfortable in the world I lived in, a me that could move gracefully through situations and make friends and laugh in public, free and uninhibited. My little girl bit her lips. She wrung her hands. She walked beneath the slide. She touched its plastic underbelly. She walked out from under it. She examined the sides and then saw the kids coming down and moved away before they slid to the ground. Maybe she’s just young and school is new. Perhaps she will eventually make friends. Maybe she’s not like me, and she will outgrow her shyness and loneliness and learn how to feel free in herself and the world the way the magazines and studies say is good for her. Or maybe she is like me. A piece of my heart wished for her the wish I had wished for myself a long time ago: the ability to laugh and play with her peers, to grow up in a generation and be with it fully and completely. But there was a bigger piece of my heart, and it cherished the lonely spirit I carried and the little girl who had taken those solitary stands in the playgrounds of her life. In all those moments when I was young, I was looking for ways to belong, not only to my peers or the bigness of the world around me, but to myself. In all the years of being lonely, I have been myself, and no one else, and for that I am grateful. Kao Kalia Yang is a Hmong-American teacher, public speaker, and writer. 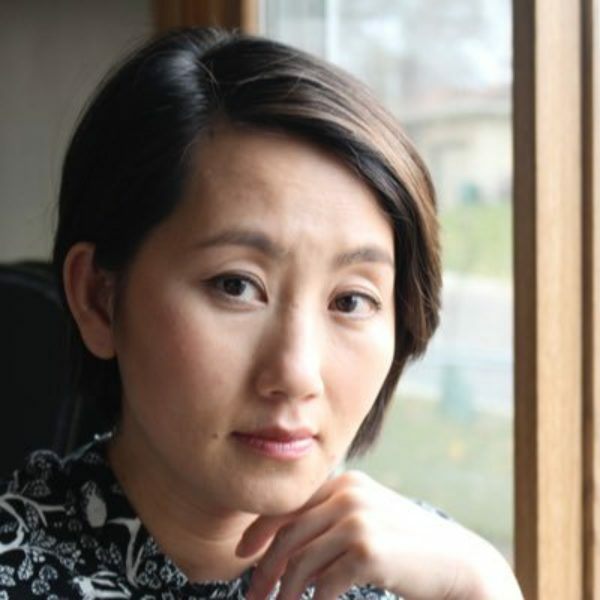 She is the author of the award-winning book The Latehomecomer: A Hmong Family Memoir and The Song Poet, nominated for a National Book Critics Circle Award in 2017. She is a graduate of Carleton College and Columbia University’s School of the Arts. Kao Kalia lives in Minneapolis, Minnesota with her family. 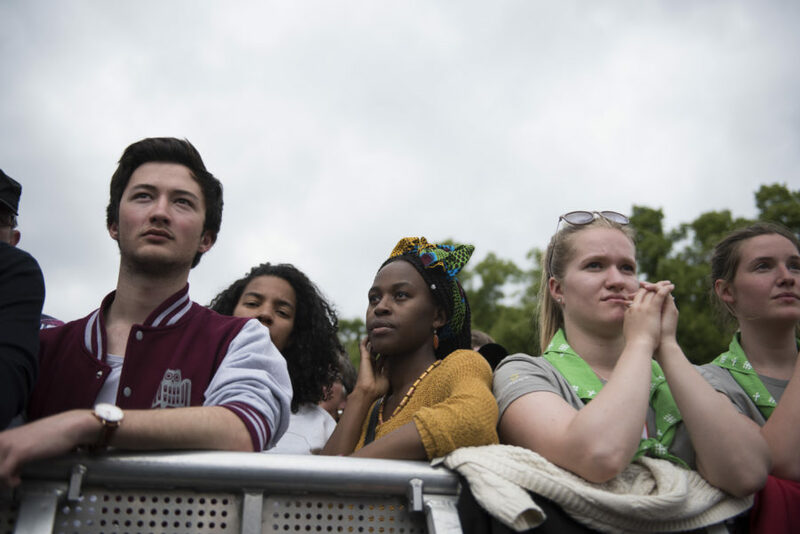 Acknowledging the limits of our own experience, and the spiritual challenge of building deep relationships with those outside our cultural comfort zones.